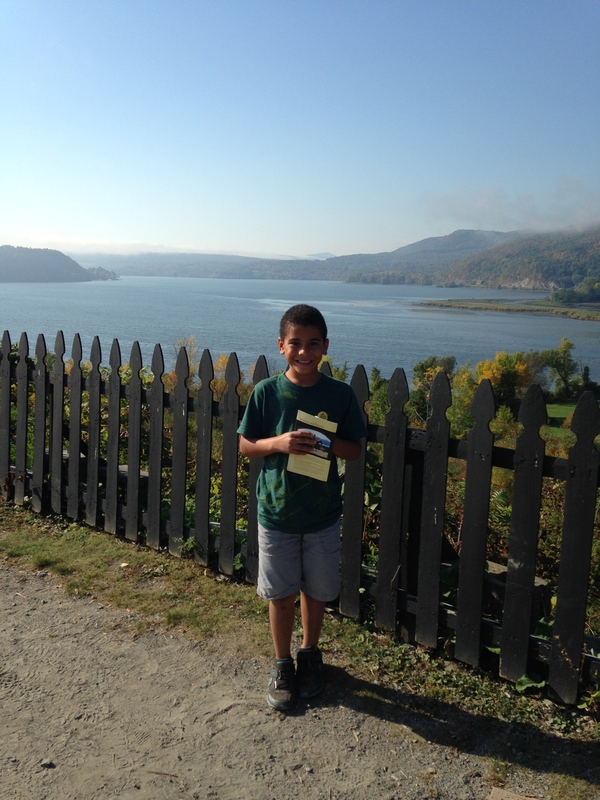 I won’t give a history lesson here, but if you are interested in the Revolutionary War time period or have children who are studying it and you don’t live too far I would highly recommend visiting Fort Ticonderoga. It was immensely interesting and very engaging for all ages. Before I get to the fort let me rewind to the early morning. I couldn’t pass up the opportunity to run in a new place so I set off on foot to discover a little bit more of Hague, NY. I was expecting a crisp cool fall morning, but the temperature was warming up quickly. The area is very hilly, but beautiful in every direction. I ran back past the Hague Market, along a wooded trail and then up a huge hill where I came across an old cemetery. I stopped at the cemetery and walked around a bit before heading back to the resort. The foliage was so rich and colorful. 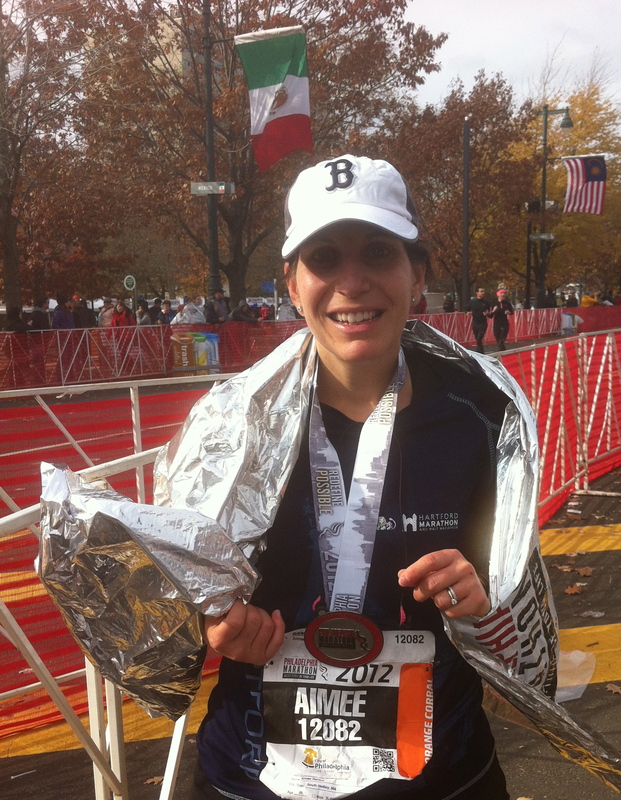 My run was slow with lots of photo breaks. After my run I grabbed Carlos to go kayaking. We each had our own kayak and we rowed out away from the dock in silence, Carlos leading the way. Carlos went to a kayak camp this summer for a week. I watched him in awe as he maneuvered the kayak effortlessly over the calm water. He was confident and strong. We didn’t talk much and just enjoyed the peacefulness of the lake and the gorgeous scenery. I could have stayed out there all day, but we really had to get back to the cabin and get a move on if we wanted to make it to Fort Ticonderoga. After checking out of the resort we returned to Libby’s for breakfast. Then it was time for the main attraction. From the parking lot it doesn’t look like much, but once we passed through the welcome center which houses the gift shop and restaurant you go through a door to be greeted with a spectacular views all around. We wandered around for about 20 minutes awaiting the next tour. There was a wall with chronological information. You could peruse the cannons on display. 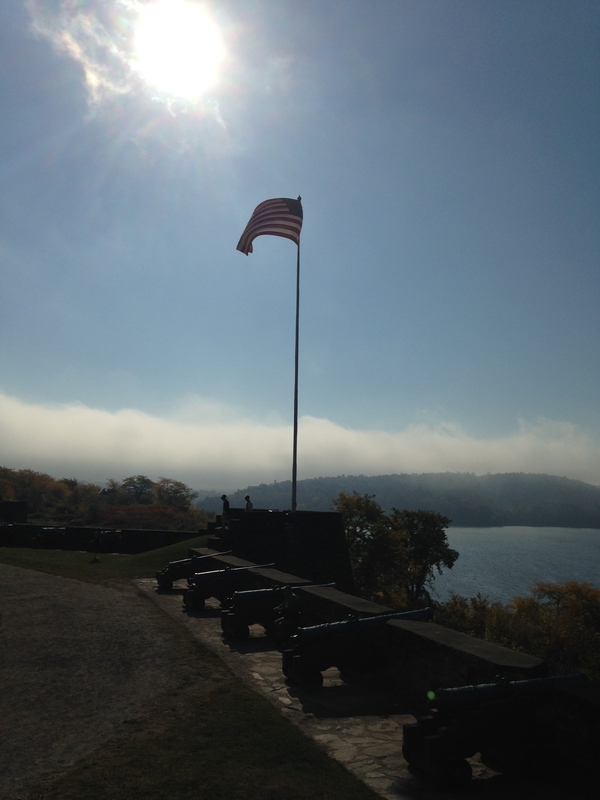 The fort was strategically built overlooking the outlet of the La Chute River which connects Lake George to Lake Champlain. This was an important area because it essentially linked New France to New York. 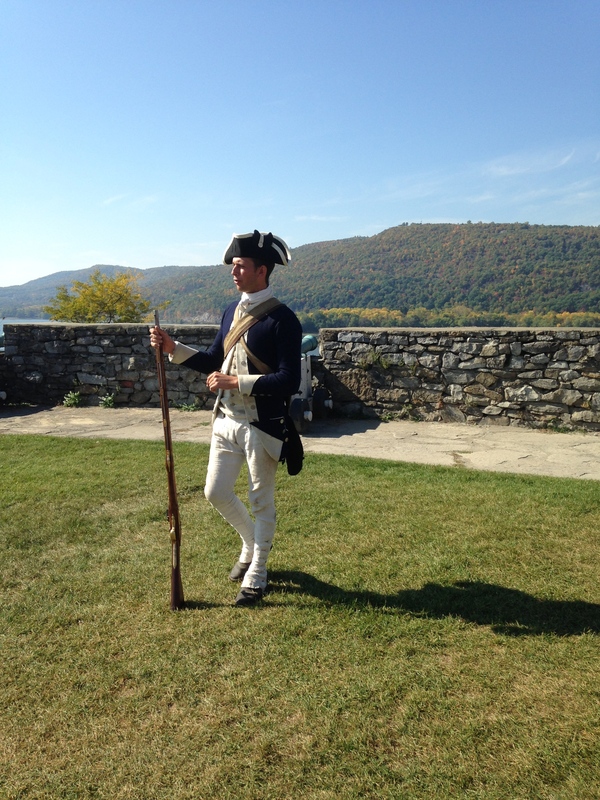 Fort Ticonderoga was built by the French beginning in 1755 and originally called Carillon. The fort changed hands a number of times. 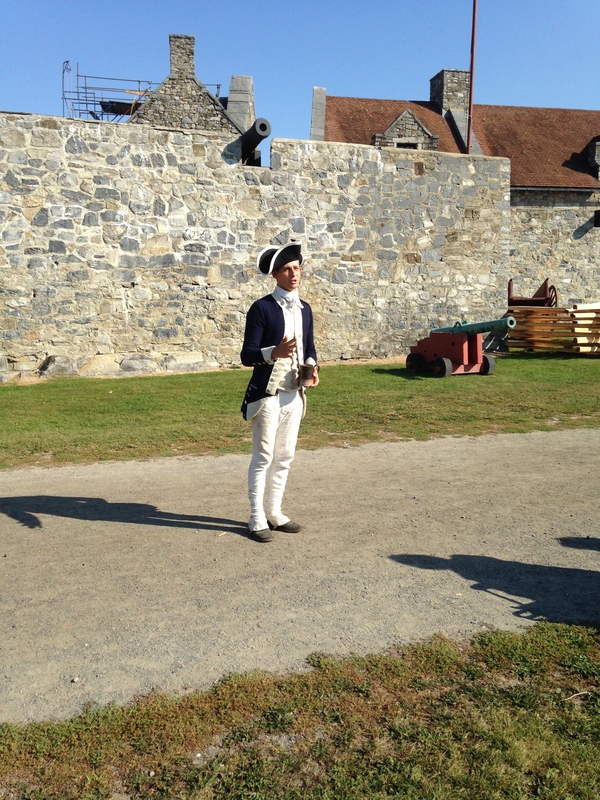 In 1759 the British defeated the French there and took control of the fort for the next 16 years. 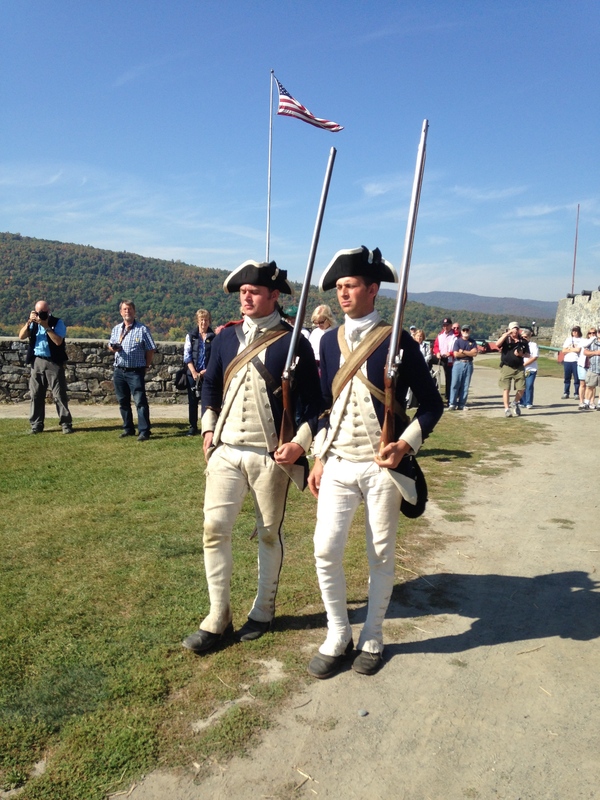 In what is considered the first American victory of the Revolutionary War, Fort Ticonderoga was captured on May 10, 1775 by Benedict Arnold, Ethan Allen and the Green Mountain Boys. The tour began with a lengthy history by our very intelligent and sarcastically witty tour guide. Once inside the fort you could roam around checking out the various rooms like the shoe workshop, the tailor’s shop and a bunk room. There was also a museum on the top floor of the building with historical artifacts, weaponry, clothing and paintings. 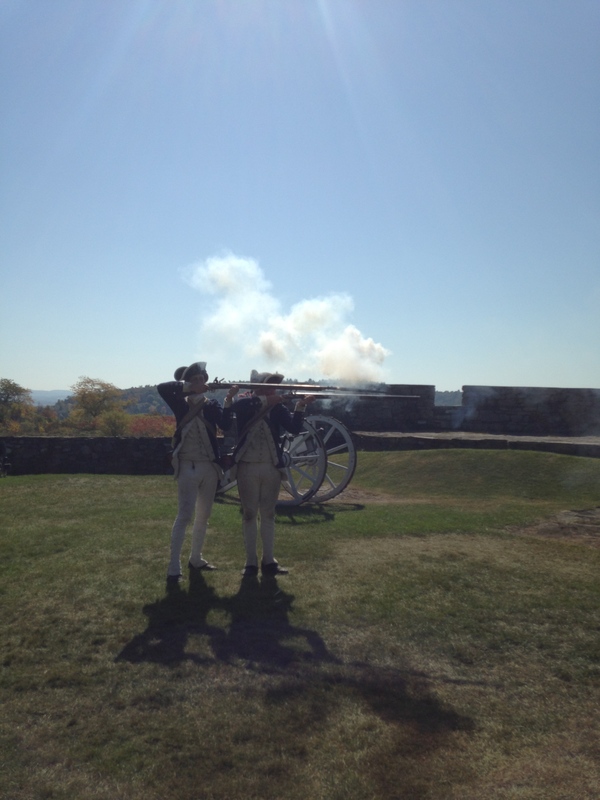 We were invited to return back outside of the fort to watch a demonstration of muskets being fired. From there we took a tour of the King’s Garden. The corn maze adventure was next on our list. It was actually quite easy which worked out great since it was beginning to get very warm out and we were all hungry for lunch. We ate lunch on site and enjoyed the gorgeous views. On our way out we were given directions to Mount Defiance. 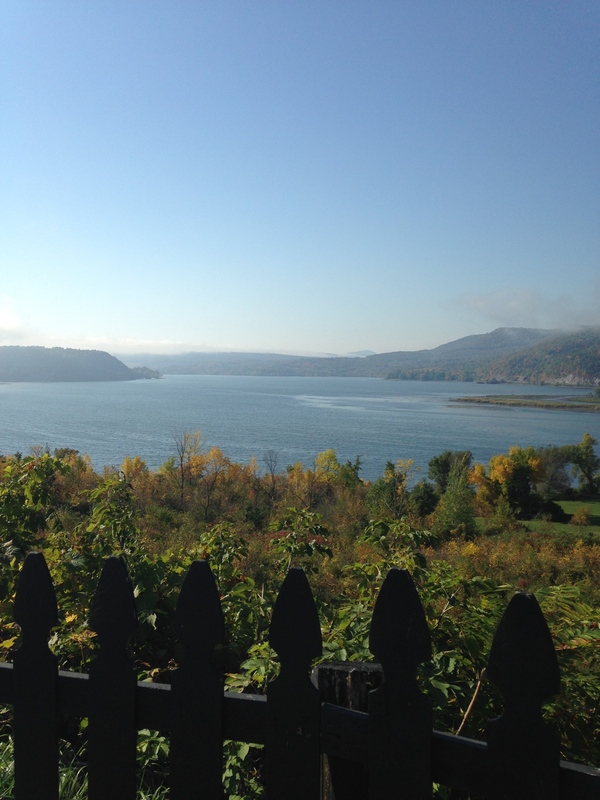 For a small fee you also received a ticket to drive up Mount Defiance just across the river from Fort Ticonderoga. During colonial times the mountain was deemed too steep to fortify with troops and weaponry despite the major vantage point from the top until finally in July 1977, British General Burgoyne ignored past skepticism and brought his cannons up the mountain forcing the Americans to abandon the forts below. Once at the base of the mountain I did my best to convince Carlos and Orlando to hike up the mountain. It’s only about a mile up. They reluctantly agreed and complained the entire way up! Wimps!! However, once at the top we were treated to amazing views all around. We decided to take the nearby ferry across Lake Champlain into Vermont on our way home. The small ferry crosses in only 6 minutes on cables to a dock directly across the lake. You can even buy Vermont maple syrup and a few other goodies on board. Whew! That’s it for our weekend getaway. 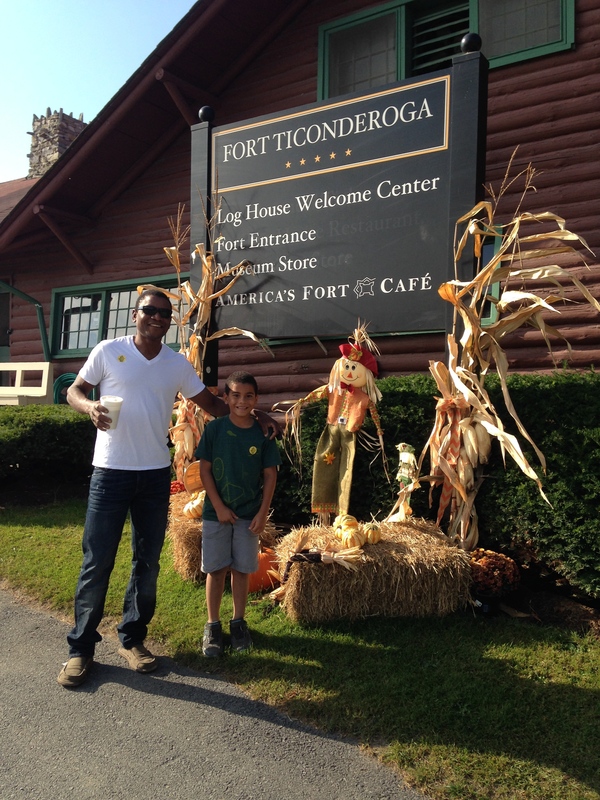 I would highly recommend checking out north western Lake George and the Ticonderoga area.